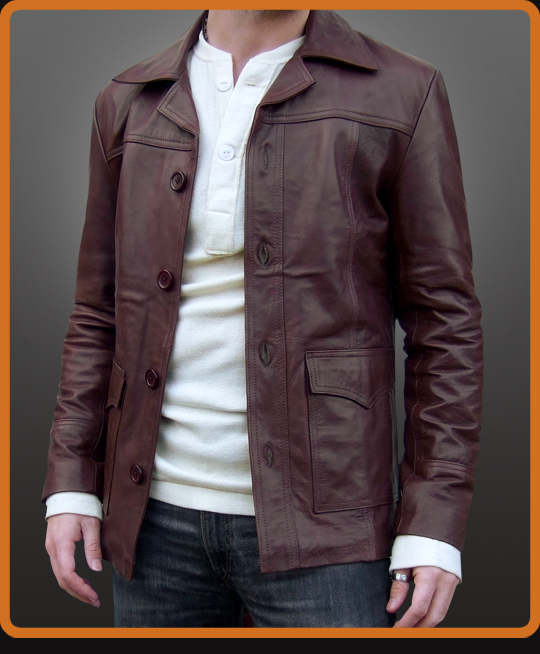 This is the Antique Brown/Cream Stitch version of the mens Fight Club style leather jackets. Cool Antique Brown leather in true 70s style. Available in Antique Brown and Black.